"The Hive Gvahim team with industry top-experts (a.k.a mentors) literally poured enormous volumes of value into each participating startup"
In era of global Internet access, all human knowledge stands for your service in a matter of a click. The web is full with blogposts and step-by-steps guides that will arguably take one's business to the next level. However, there is one aspect that business accelerator is different. I'm talking about the human touch. Business accelerator is a venture that aims to advance one's business. Participating business is put under magnifying class and all of its components are analyzed with mentors' help, who are experts in their field. First, the idea is checked in regards to pain it is supposed to solve for its customers. Accelerator members meet a dozen of mentors which bring their experience on the table. Secondly, the idea is validated in go-to-market regards, when another dozen of mentors step in and every participating team brain-storms their go-to-market strategy with industry veterans. The next step brings in another group of mentors, and so on. At the end of day, there is no a single venture aspect that wasn't covered and discussed with professional. 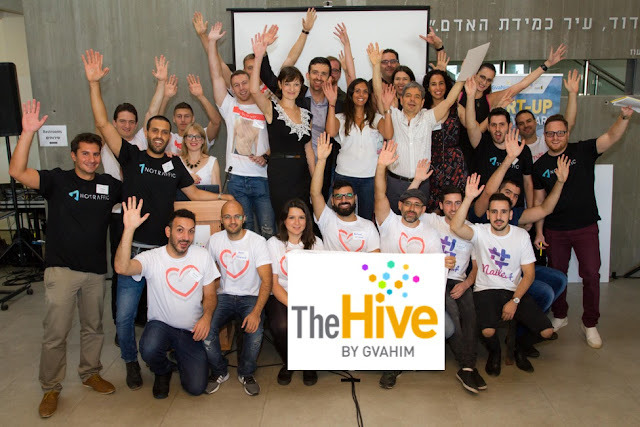 What is so special in The Hive Gvahim accelerator? LabSuit had a great honor to participate in The Hive Gvahim business accelerator! It lasted 6 months in which The Hive Gvahim team along with other program mentors literally poured enormous volume of values into each participating startup. The progress made during the program is huge and impossible to overrate! I would like to specially thank Tal Kelem and Izabella Filipov who provided us with all kinds of support: administrative, business and sometimes - emotional support as well. Tal, Izabella, thank you! Our fellow teams, you're awesome! Radiomize, NoTraffic, FitScanner, WiseWed, NailDat, WinisApp.